So your little one wants to be a princess. But not just any princess. Your child wants to be the friendly, excitable Rapunzel from Disney's Tangled. An excellent choice! She's definitely a favorite around here with her can-do attitude, general cheeriness, and killer frying pan. Of course if your child wants to be Rapunzel, then long lustrous locks are a must. We understand that your kid might not realize that she can't just grow 70 feet of blonde hair at a whim, so we've got your back. 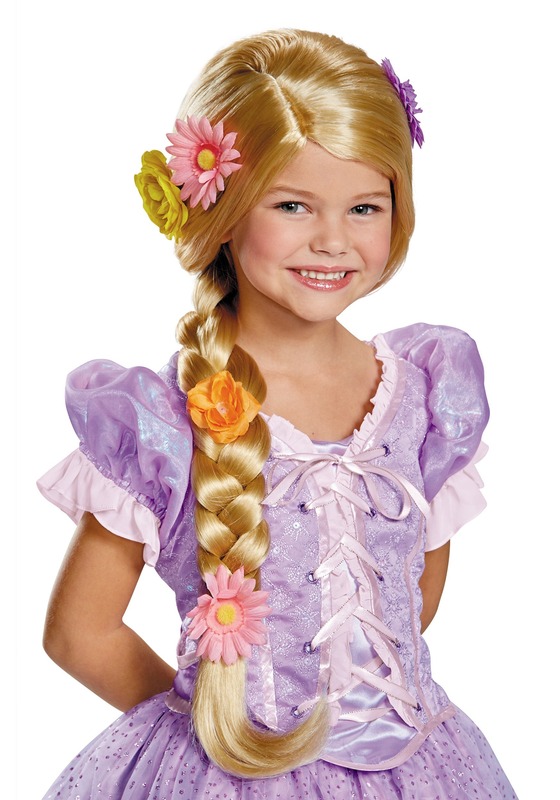 If your child wants to be the princess with the magical glowing hair, try out our Child Prestige Rapunzel Wig. It's a blonde synthetic wig with multi-colored flowers folded into the long blond braid. Match it with Rapunzel's signature dress and your little one will be ready to chase dreams (and lanterns) in no time!